Anna University PG Syllabus Regulation 2017 from 1st semester to 6th Semester . Anna University has announced the revised syllabus 2017 for all PG departments. Anna University Syllabus 2017 has been announced for the students who are joining various PDf courses offered by Anna University. Regulation 2017 syllabus for the students who have joined in the academic year 2017 will be applicable for affiliated Colleges Under Anna University. 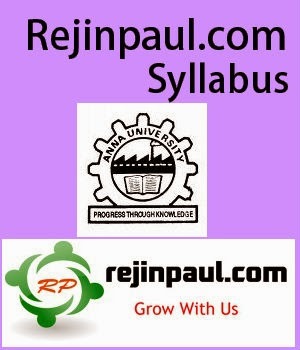 PG Students of Anna University and it affiliated colleges can download the Regulation 2017 Syllabus from below link. Click/Select your Department to download Syllabus directly.